Is Skin Removal Surgery the Best Answer for Loose Skin? Everything you need to know if you’re considering plastic surgery to remove excess skin. Then, after Diaz got a message on his blog, where he’d talked about his weight loss, and the follower asked whether he was dealing with excess skin from the surgery, he was inspired to share what his body really looked like underneath in a very public way. He wanted other people who were dealing with the issue to know that they weren’t alone, so he posted a video on his blog exposing his excess skin. The video went viral, and a GoFundMe page was started in his name to raise money for his skin removal surgery. Soon after, Diaz received $57,000 in donations. He was even able to give a lot of the money back to others who needed help with surgery. Getting his excess skin removed was a positive decision for Diaz, and his viral video and the donations he received allowed him to do it. If you’re considering skin removal surgery after weight loss, here’s what you need to know about the process. Excess skin can affect people who’ve lost large amounts of weight on their own or through bariatric weight loss surgery. It can often make people who’ve worked hard to lose a lot of weight feel like their bodies don’t reflect their lifestyle, says C. Andrew Salzberg, M.D., Chief of Plastic Surgery Division of Mount Sinai Health System, Mount Sinai, New York. It’s not only a cosmetic issue for many people who’ve lost weight, but a medical one too. “[Excess skin] can cause rashes, painful chafing, infections, and can impede movement or exercise,” says Dr. Salzberg. 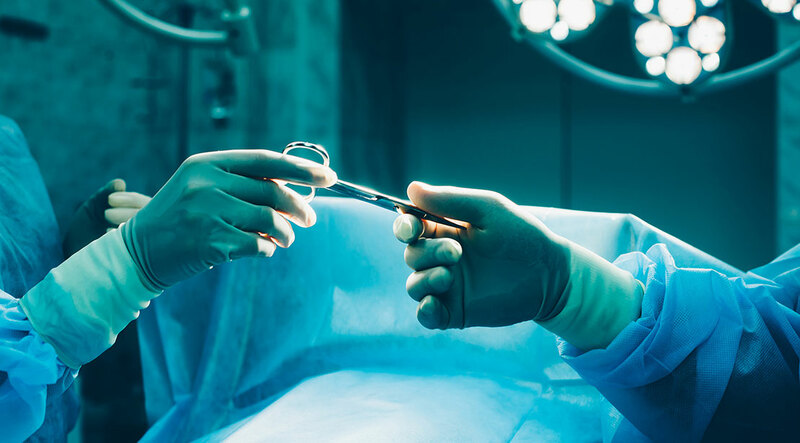 The skin won’t bounce back over time, and there’s no effective, non-invasive way to tighten up the skin, so surgery is usually the only option to remove it, says Christopher Daigle, M.D., bariatric surgeon at Akron General Bariatric Center, Akron, Ohio. Having plastic surgery to get the loose skin removed is for anyone who is healthy enough to undergo major surgery, says Dr. Salzberg. Depending on how much skin is removed and how large the incisions must be, the risks of blood loss, recovery and scaring vary. If patients are seeking skin removal after weight loss surgery, Dr. Daigle advises they consult their bariatric surgeon first. “We’re very supportive of them getting the surgery, but it’s important that we look at their weight loss trajectory and make sure they’ve plateaued,” he says, which can take 12 to 18 months post-surgery. If not, the patient could have excess skin surgery before they’re finished losing weight, and then they’ll just have more excess skin and may need a second surgery to remove it. There are a few different types of plastic surgery procedures that address excess skin after major weight loss. “Each is tailored to the patient and their individual needs,” says Dr. Salzberg. A tummy tuck is the most common, he says, and gets rid of hanging skin on the front of the abdomen. Surgeons make an incision along the bikini line and then another near or above the belly button. They remove this swath of loose skin, cutting around the belly button and leaving that down. They then pull the top incision down to meet the other and stitch up the skin, he says. Another common procedure is called a body lift, and involves cutting away skin all the way around the abdomen. A brachioplasty takes loose skin off of the arms, while a thighplasty removes excess skin from the upper legs.